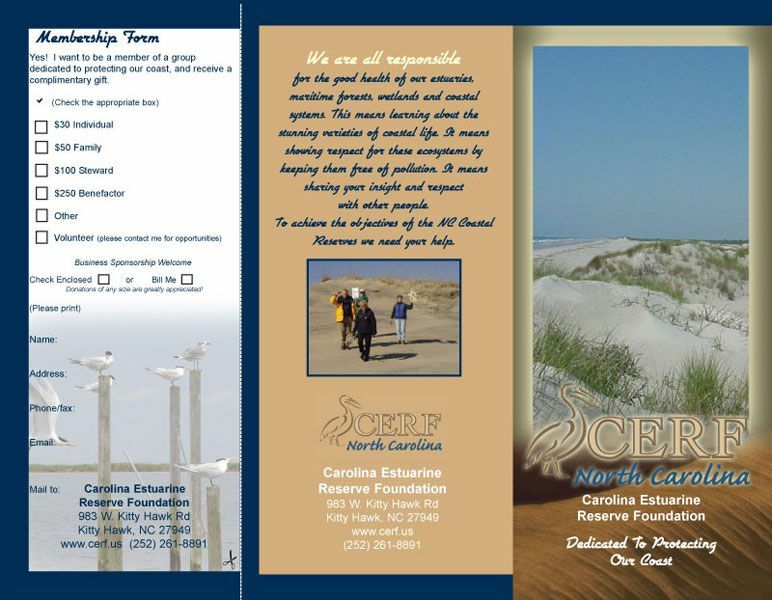 This brochure for CERF, Carolina Estuarine Reserve Foundation, was developed to be their main outreach piece. 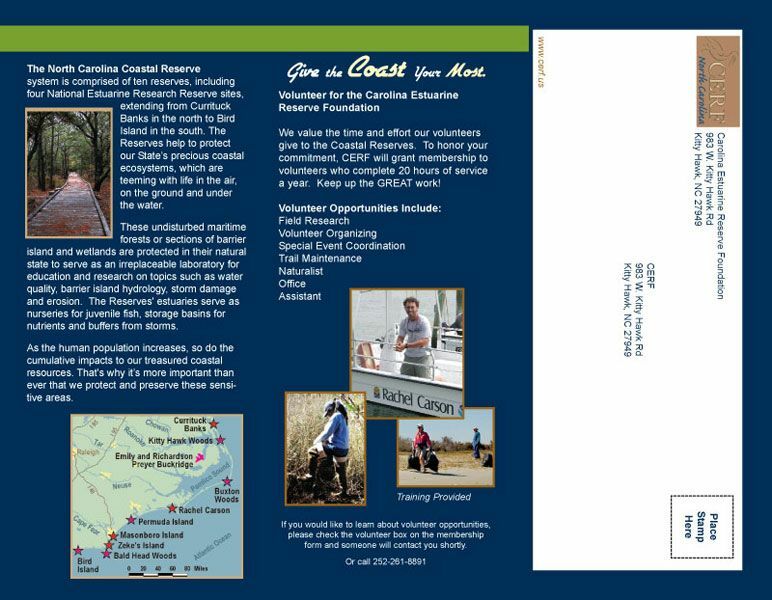 It had to explain the mission of the organization, demonstrate what they do to reach their goals, and solicit for donations and membership. 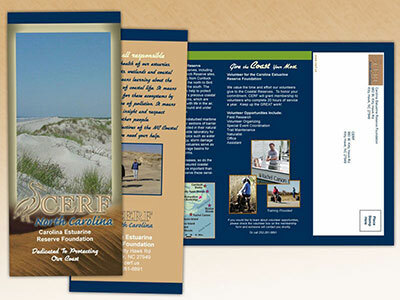 The inside panel can be filled out and mailed back to the office without needing an envelope.